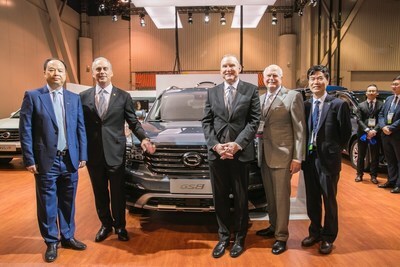 LAS VEGAS, March 27, 2018 /PRNewswire/ — GAC Motor, China’s fastest-growing automaker, has made a great first impression with North American auto dealers with its successful debut at the National Automobile Dealers Association Show (NADA), showcasing a star lineup of best-selling vehicles, as well as holding a dealer gathering to draw interest in the company establishing a dealership network in North America. At the show, GAC Motor’s GS8 and GS4 SUVs, GA4 sedan and GM8 minivan attracted attention from the crowds. The high-quality vehicles highlight the company’s latest achievements in independent research and development and cutting-edge technologies. Peter Welch, president and CEO of NADA, came to GAC Motor’s display to see the vehicles firsthand. He was very confident about the GAC Motor brand and held high hopes for the automaker’s debut in North America. 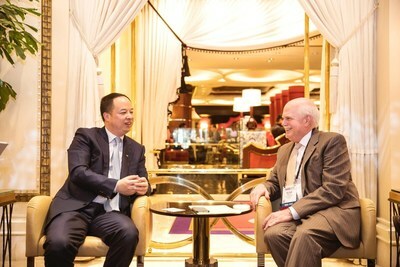 In addition, more than 150 distinguished guests attended GAC Motor’s dealer gathering during NADA, including David Sloan, president of Chicago Automobile Trade Association and general manager of Chicago Auto Show; Michael Regan, senior vice president of industry affairs of NADA; Steve Boecking, vice president of Hillwood of Perot Group; Michael Dunne, CEO of Dunne Automotive and more. 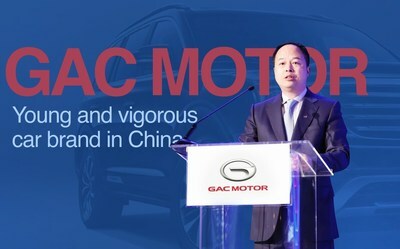 GAC Motor reached preliminary intent of cooperation agreements with multiple dealers representing distribution channels all across North America. Lithia Motors Inc, the fourth largest automotive dealership group in the United States with 185 stores, expressed an interest in providing an existing sales network for GAC Motor. John North, senior VP, CFO & principal accounting officer of Lithia Motors noted that GAC will be the first new brand to enter the U.S. market in 20 years, and that he’s impressed by GAC Motor’s products that boast strong design and high quality. He also complimented the international operations team. In addition to the North American market, GAC Motor also delivered solid market performances in participating countries along China’s “Belt and Road” Initiative. With a focus of breaking into the mid- to high-end market and a user-centered R&D strategy, GAC Motor is constructing a world-class auto manufacturing system that integrates GAC Motor’s global R&D network, production capacities and supply chain to upgrade consumers’ mobile lifestyle through innovations in technology, product and service. Founded in 2008, Guangzhou Automobile Group Motor CO., LTD (GAC Motor) is a subsidiary of GAC Group which ranks the 238th among the Fortune Global 500 companies. The company develops and manufactures premium quality vehicles, engines, components and auto accessories. GAC Motor has now ranked first among all Chinese brands for five consecutive years in J.D. Power Asia Pacific’s China Initial Quality Study SM (IQS), demonstrating the company’s quality-centric strategy from innovative research and development (R&D), manufacturing to supply chain and sales & services.